The Southern California portion of the giant, biennial Rim of the Pacific exercise is now underway with mine warfare training, the Navy announced Thursday. The mine warfare exercise includes 26 units and 1,100 personnel from the United States, Australia, Canada, England, Japan, the Netherlands and New Zealand. The ships involved include the Navy’s USS Ardent and USS Harpers Ferry and the Canadian HMCS Whitehorse and HMCS Yellowknife. “The purpose of these operations is to increase capability and to build relationships with our partners. Trust isn’t something you can surge, and it’s critical that we maintain and develop these key relationships for the times we really need to rely on one another,” said Rear Adm. Dave Welch, the Navy’s global mine warfare commander. The exercise includes training with the Navy’s new helicopter-based mine countermeasure system that uses lasers. 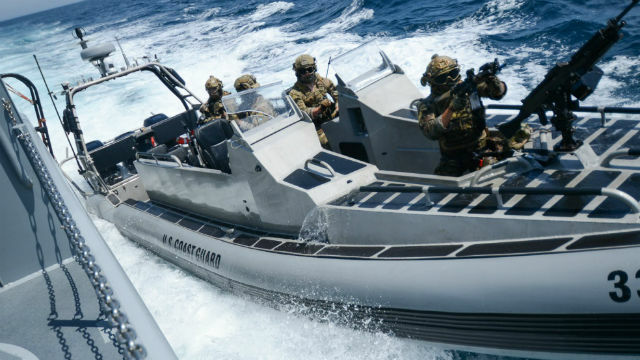 Twenty-five nations, 46 ships, five submarines, 200 aircraft, and 25,000 personnel are participating in RIMPAC from June 27 to Aug. 2 in and around the Hawaiian Islands and Southern California.